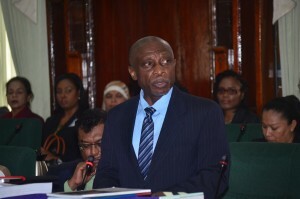 “Once a matter goes before the Court and the UN’s Court has taken a decision, no member State of the UN can buck that decision because if they buck that decision, the UN Secretary General can be called upon to have either the General Assembly or the Security Council take action against the State,” Greenidge told Demerara Waves Online News. The Foreign Minister, one day after Venezuela rejected Guyana’s filing of its case to that UN Court, added that if the ICJ takes a decision and it is breached, “there is a whole range of options” available to those top UN decision-making bodies. Greenidge noted that in other parts of the world, countries that sought to violate ICJ rulings had eventually backed down and abide by those decisions. 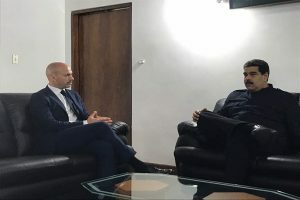 The Guyanese Foreign Minister reiterated his country’s position after Venezuela on Friday rejected the possibility of a “judicial settlement” being brokered at the ICJ over its border controversy with Guyana. United Nations Secretary General’s High Representative, Dag Halvor Nylander and President Nicolas Maduro in talks last year. “Resorting to a judicial settlement to settle the dispute is unacceptable, sterile and inapplicable,” Venezuela’s Foreign Ministry warned in a statement after Guyana formally asked the ICJ to resolve the decades-old conflict. The UN Secretary General, Antonio Guterres on January 30, 2018 referred the controversy to The Hague-based World Court after heightened mediation throughout 2017 failed to bring about a resolution. After 51 years of mediation provided for in the 1966 Geneva Agreement between Venezuela and the United Kingdom before then British Guiana was granted independence by the latter country, Guyana has grown tired of mediation and has since successfully called for the matter to be sent to the ICJ.